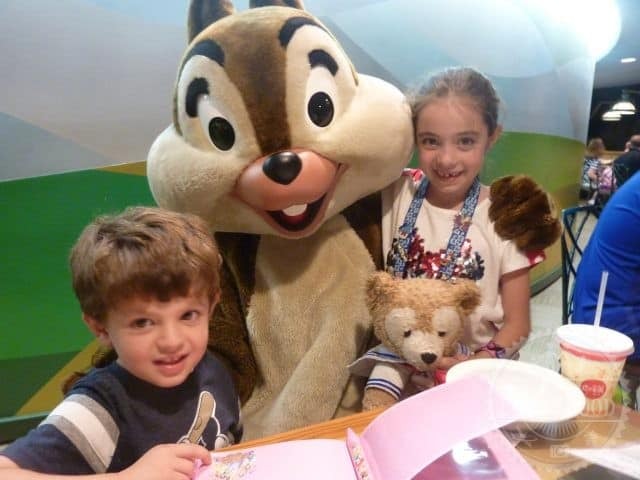 Character meals at Walt Disney World are always a must-do for my family. For us, getting up close and personal with our favorite Disney pals for breakfast, lunch or dinner is not only a great treat, but a time saver too. Instead of wasting precious time on line for them in the parks, we get to meet friends, plus have a good meal. Character meals also provide opportunities for unique character interactions. You get more time with the characters then in the parks and often can participate in fun dance parties or activities. To us, character meals are a win-win! 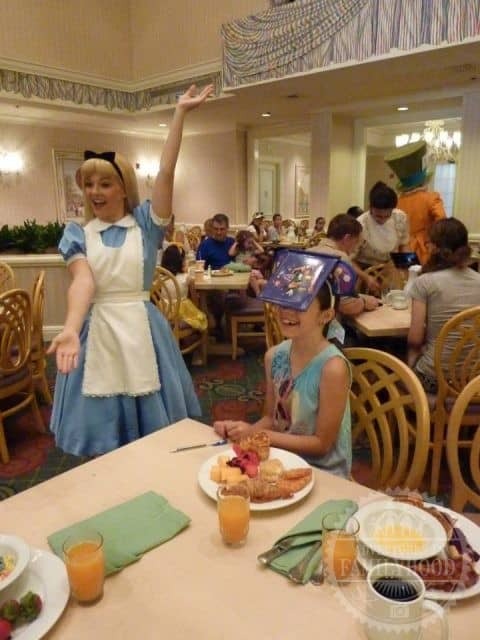 Our favorite time to character dine is for breakfast. Making an early reservation gets us up and out the door while still giving us plenty of time to make park opening. An added bonus is making a breakfast reservation inside the parks. This gets you into the park early, providing you with the opportunity to take empty park photos. Whether you’re into Mickey and friends, Disney Junior or the Disney Princesses, there’s a character meal for you. But which ones are worth your time and money? We’ve consulted with 18 other Disney experts to get their take on the best character meals at Walt Disney World. 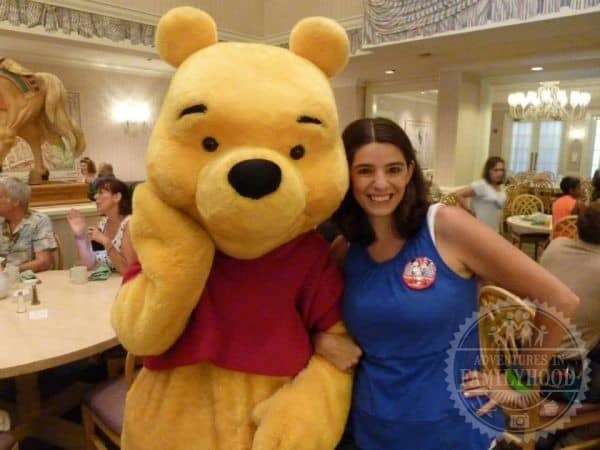 My favorite character dining experience is 1900 Park Fare because of Winnie the Pooh! Garden Grill is my favorite Character Dining experience. 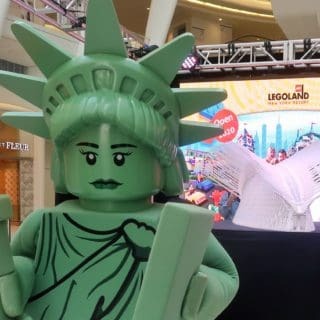 The characters are able to visit your table multiple times and are much more interactive than at other locations. Tusker House is my favorite. Why? 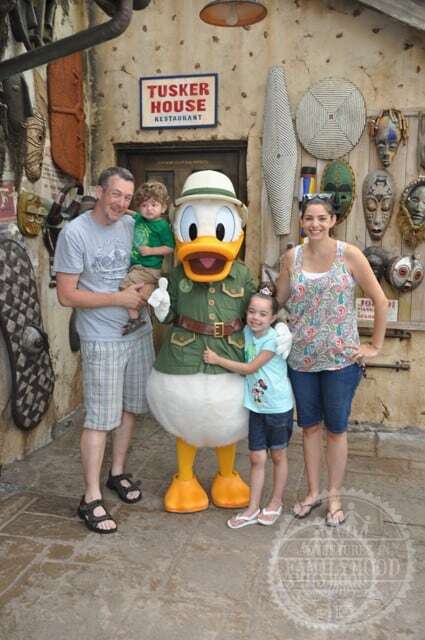 I love the characters dressed in their safari outfits and how they take time to visit each table and don’t rush off. Each of the characters Mickey, Minnie, Daisy, and Goofy take pictures and autograph whatever we hand them. Just a fantastic atmosphere and love trying the different food on the buffet. 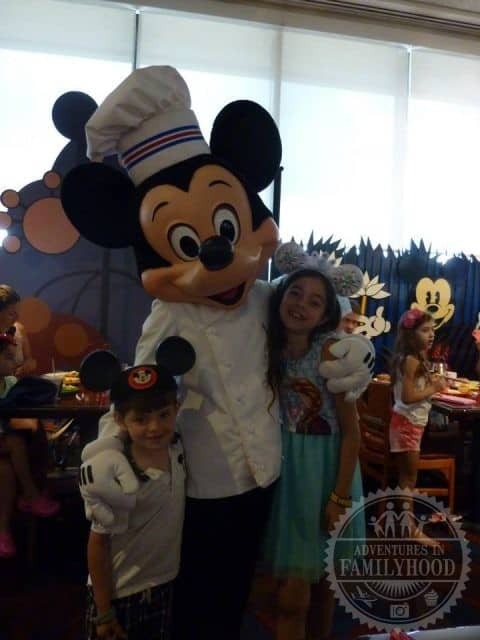 Chef Mickey’s will always be our favorite since it’s a family tradition to have breakfast there on our first morning. It’s a great way to get into the Disney spirit and start every trip off seeing our favorite characters. We do have a second favorite – the Princess Storybook Dining at Akershus Royal Banquet Hall at the Norway Pavilion. The food is great and the princesses mingle with guests throughout your meal. 1900 Park Fare for breakfast is my favorite character dining. I love the food and the atmosphere. The characters are pretty cool too. Cinderella’s Royal Table is my favorite character dining experience. I think the princesses are always happy to see you, and in our experience, they spent quite a bit of time at our table interacting with us. On our last trip, we went to Tusker House for breakfast and will be adding it to all our future trips. The atmosphere was just so happy and carefree. Character interactions were great. Akershus at Epcot – We have probably had 4 or 5 meals here over the years. The food has always been very good and plentiful. There are several princesses for the kids to interact with and we never felt like we had to wait super long for them to get to us. 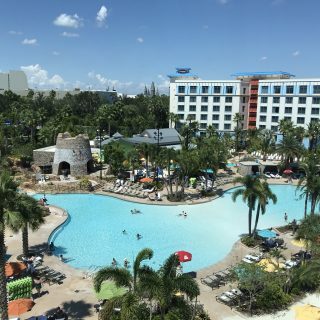 Tusker House at AK – If I could pick a 2nd favorite – I would go with Tusker House. Delicious food and a great character experience! 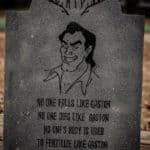 That’s super tough we have a fav at ever park. But if I had to pick just one it would be Akershus Royal Banquet Hall at Epcot. 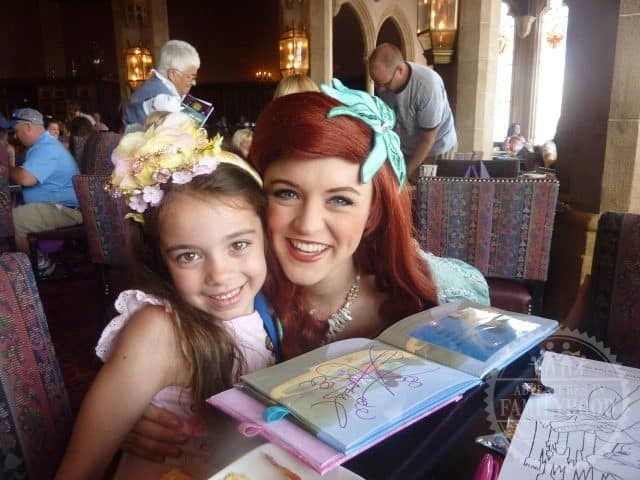 I love you get to see a lot of the princesses at the same time which saves a lot of time if you have a little girl. But also our family loves the food there. Garden Grill because not only do the servers treat you like family but the characters do as well. It was the first time on our vacation that we could sit back and enjoy a meal with our toddler. 1900 Park Fare ~ Character interaction was AMAZING. There is a wide array of delicious food options (I mean, strawberry soup and lobster eggs benedict, people), bright and cheery atmosphere, adorable photo opportunity and you can’t beat the proximity to Magic Kingdom. If Trattoria al Forno was easier to get to in the mornings, the Bon Voyage Adventure Breakfast would be a must do dining experience every time. The Tangled and Little Mermaid themed pastries that start the meal are as delicious as they are adorable. 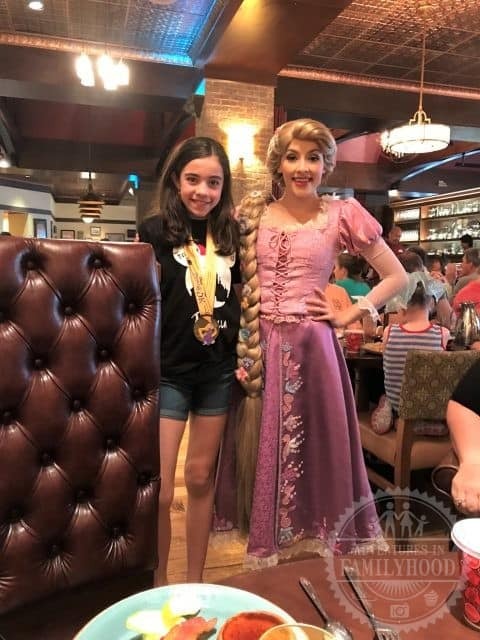 The character interactions with Ariel, Eric, Rapunzel and Flynn Rider were some of the best I’ve had at Walt Disney World, and from watching the families around me, I could tell others felt the same. Plus, the waitress kept asking if she could bring us more plates of bacon every time she saw ours was empty. What’s not to love? I LOVE the vibe of Hollywood and Vine. Very relaxed and we were able to meet all the characters multiple times! We have actually never done a character dining experience as a family. I do have a special place in my heart for Be Our Guest though (but not with my kids!). Garden Grill at Epcot. Family style setting and lots of time with the characters. The food is ‘homestyle’ with great options. We also love the new location so you can see the inside of rides. Hollywood & Vine character dinner at Disney’s Hollywood Studios. 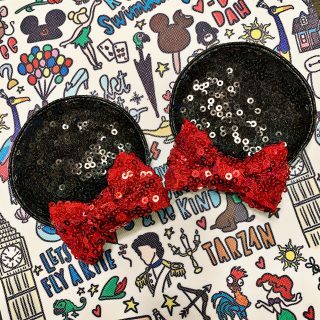 We love their themed dinners, like when Mickey and pal’s dress up as Star Wars characters, or Minnie’s seasonal dining for a beach inspired bash, etc. The service is good and you get to meet the characters sometimes more than once. 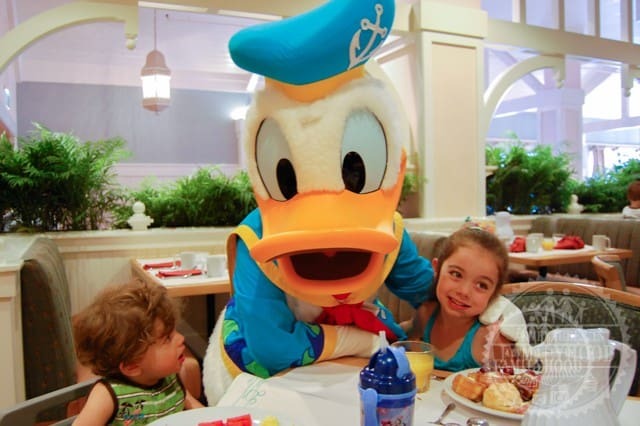 One of our favorite character dining experiences at Disney World is Cape May at Disney’s Beach Club Resort. This restaurant serves breakfast. You can enjoy a delicious breakfast buffet with Minnie, Daisy, Goofy, and Chip and Dale. This character dining is not as popular as other character dining experiences. I always feel like we have a lot more time with the characters at Cape May! Over the years we’ve been to our share of character meals at Walt Disney World. But of them all, our favorite is the Supercalifragilistic Breakfast at 1900 Park Fare located at Disney’s Grand Floridian Resort and Spa. I absolutely love the character interaction at this experience. Alice, the Mad Hatter, Mary Poppins, Pooh and Tigger are on hand to greet your. The buffet is big and varied, and includes homemade omelets, lobster benedict and their famous strawberry soup. There’s even a special buffet just for the kids. Plus can also have ice cream for breakfast. Read about all our favorite Walt Disney World character meals and our picks for character dining beyond the parks.